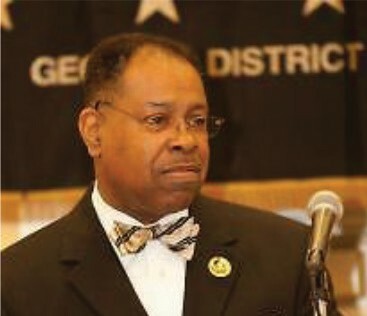 During the weekend of November 21 – 24, 2013, the men of Alpha Phi Alpha Fraternity will converge on the city of Savannah for its 58th District Convention under the leadership of 12th District Director, Savannah native Ellis B. Albright. The Hyatt Regency Savannah will serve as the headquarters and the Beta Phi Lambda (Savannah Alumni chapter), Delta Eta (Savannah State) and Xi Tau (Georgia Southern) chapters will serve as the hosts for the gathering. The convention will also welcome Alpha’s 34th General President Mark S. Tillman and 26th Southern Region Vice President and Immediate Past District Director, Savannah native Ronald M. Natson, Sr.
On Friday November 22, 2013, 34th General President Tillman will serve as the keynote speaker for the fraternal luncheon named in honor of the Georgia Districts 1st State Director and Savannah native the late Dr. Henry M. Collier, Jr. Other events of the weekend include a StepShow and Miss Black & Gold Pageant, which are both open to the public, as well as an Oratorical contest featuring College Brothers from across the state. “Bucky (#1)” and “Marcel (#7)” as they are known, were classmates at Beach High School and Savannah State. The two, along with Ronald Battle, Hebert Swain, Tommie West, the late Charles “Pooch” Perry, George Quarterman and Lewis Banks, entered Alpha Phi Alpha Fraternity in the Fall of 1975 at Savannah State College now University. The line was known for their exploits at the 1975 Homecoming game against Ft. Valley State University, when they entered the game in a helicopter. fraternity, the two have compiled an impressive list of fraternal accomplishments, both have the distinct honor of leading Alpha’s largest Region (Southern) and its largest district (Georgia). Each have served as President of their respective alumni chapters. Both are Life Members and Alpha Man of the Year awardees, Ron has also won the Southern Region and Georgia District Charles Greene Award of Merit, District Alumni Brother of the Year award, and Alumni Spirit of the Brotherhood Award, while Ellis has won the Georgia District and Southern Region Augustus Witherspoon Leadership award. Their mentors the late Dr. Henry M. Collier, Jr., John B. Clemmons and Dr. Prince A. Jackson, Jr. would be proud of the legacy the two have built in the fraternity all three dearly loved. Both alum are Life Members of the Savannah State National Alumni Association, Ron is a member of the downtown Atlanta chapter and Ellis serves as the Parliamentarian of the Augusta Chapter. Ellis, the son of Ms. Marguerite B. Albright and the late Mr. Rogers Albright, is the grandson of Ms. Viola B. Collins and the late Mr. Henry Collins. 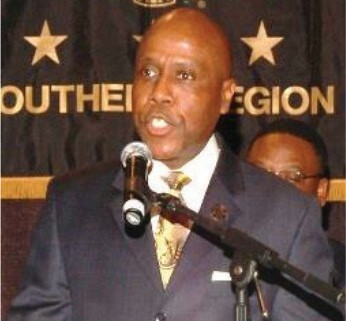 Ellis currently serves as the President/ CEO of the CSRA Business League, Inc. in Augusta. Ron, the Director of Financial Analysis with the Atlanta Housing Authority is the son of the late Mr. and Mrs. Booker T. Natson, Sr., the loving husband of the former Darlene Chestnut Natson who is also a graduate of Savannah State. Ron is the proud father of Ronald Jr. who attends Georgia State University and Renee, a Senior at North Carolina Central State University.